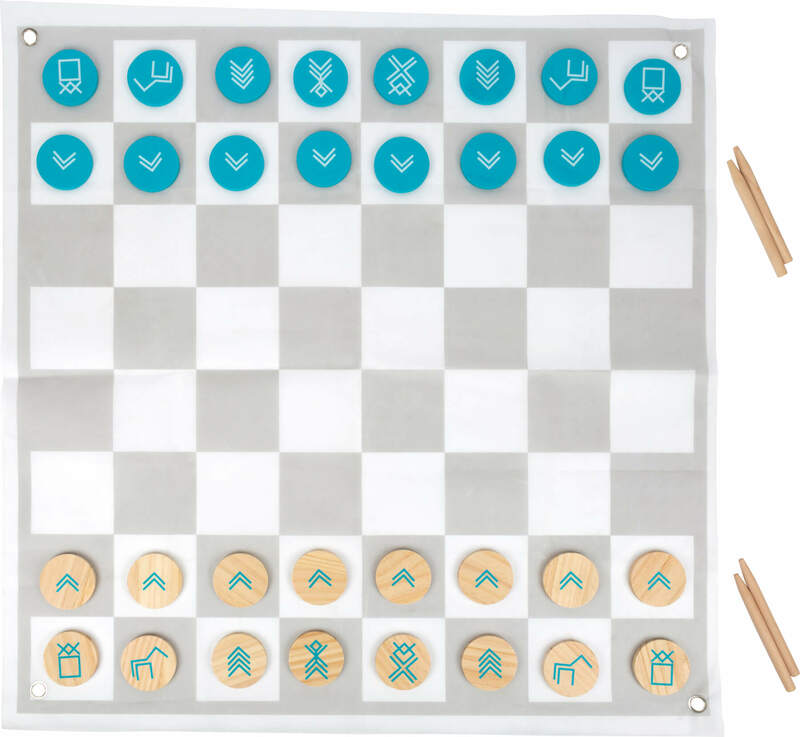 Home Theme worlds Other theme worlds product groups Draughts and Chess "Active"
Classic games in a double pack and a large format! 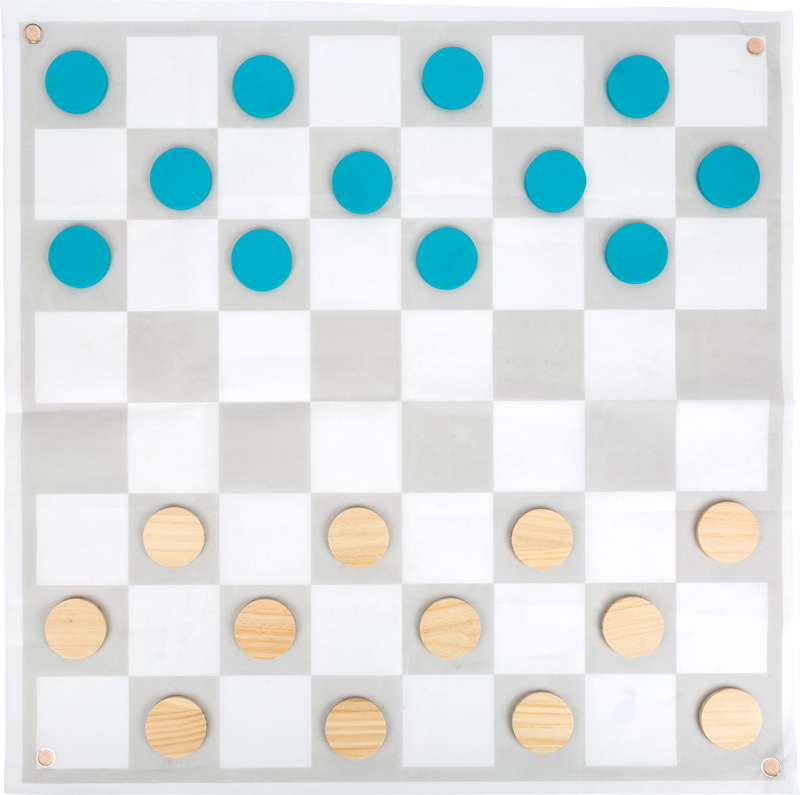 Two parlour games, draughts and chess, can be played with set. 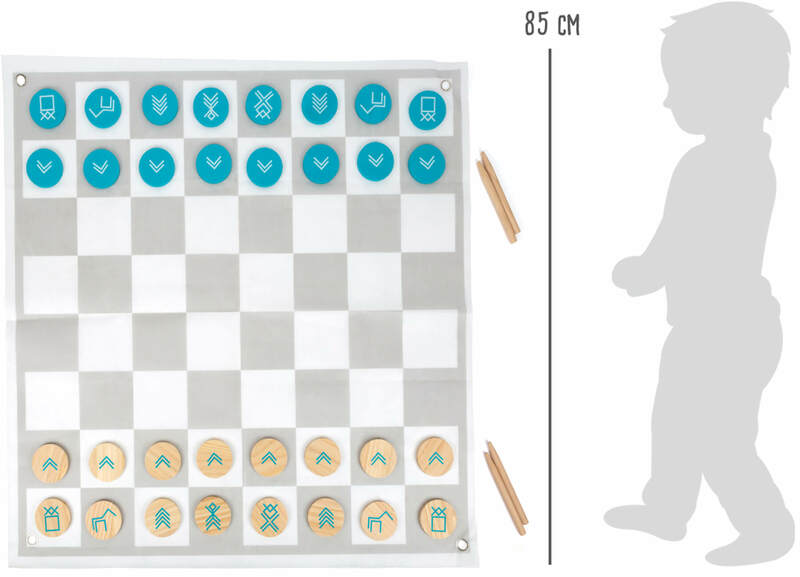 The outdoor-suitable blanket makes the game field and can be secured into the ground with the four wooden poles. 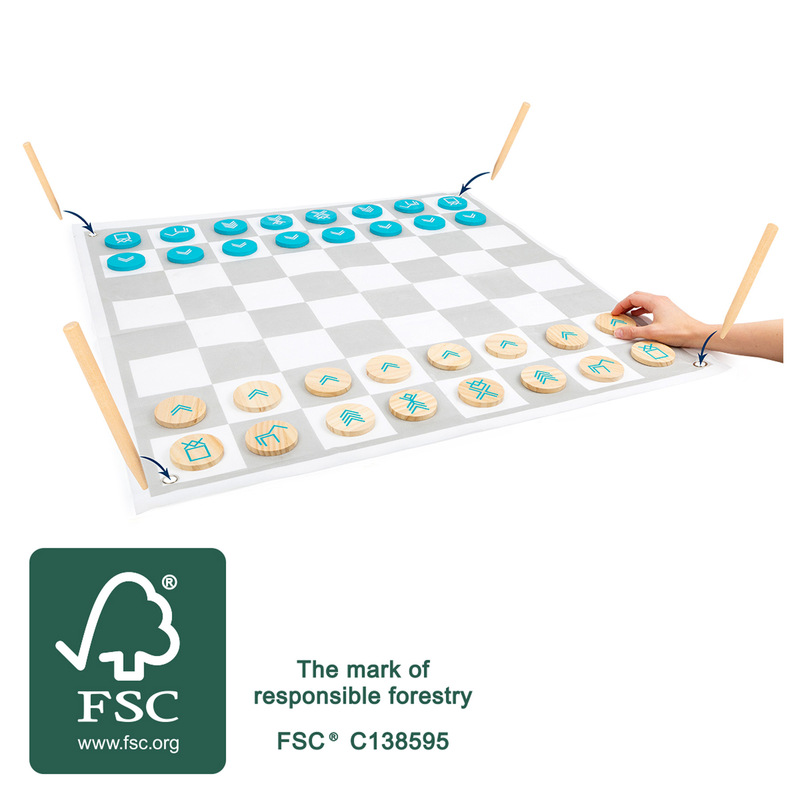 The game pieces made of FSC® 100%-certified wood are coloured in a light blue colour so they are easy to see. 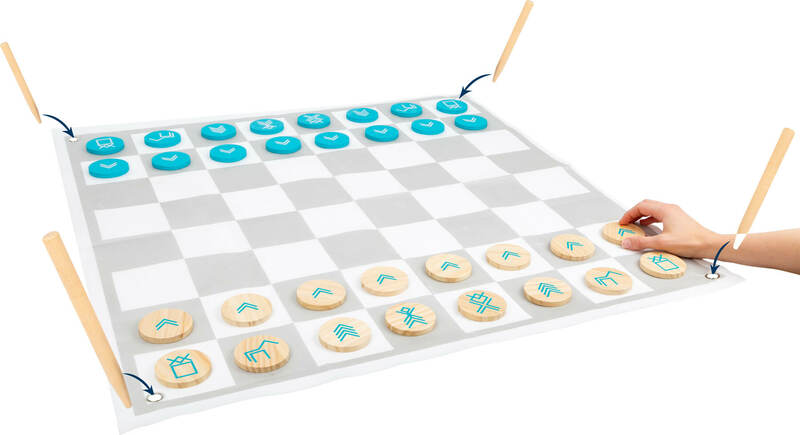 In addition, the chess symbols are designed in such a way that they depict the type of movement of the pieces in the game. 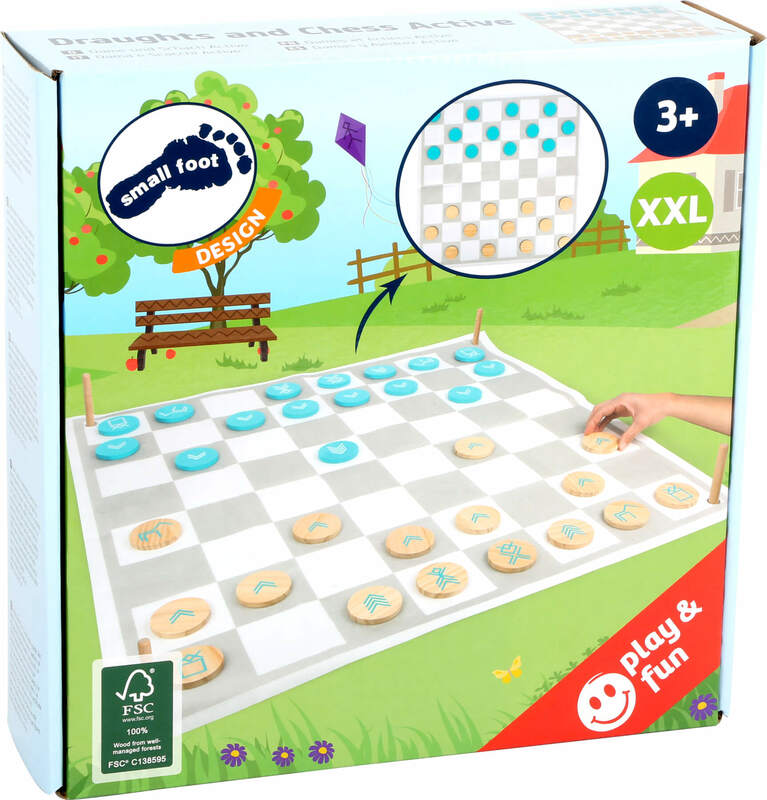 A beautiful game set that guarantees fun for both younger and older players while picnicking in the park.